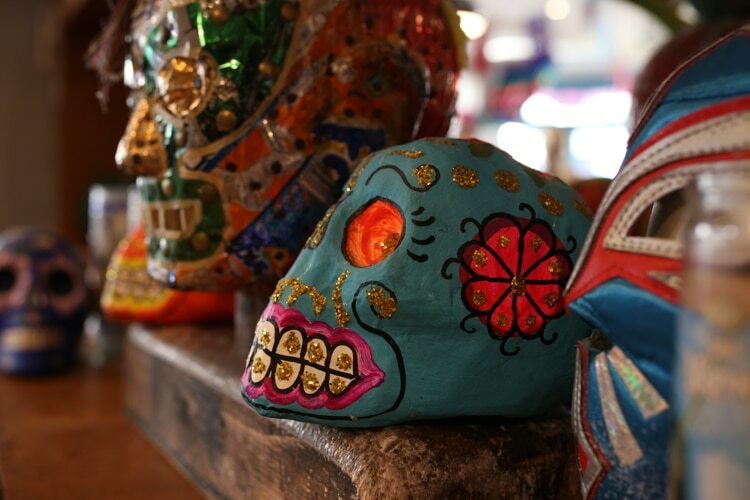 The recently launched La Choza Mexican restaurant on Brighton’s Western Road. 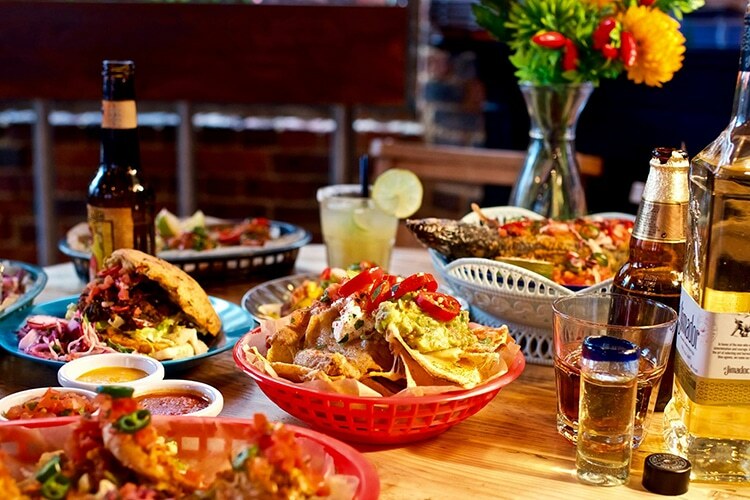 Few restaurants have captured Brighton’s colourful and quirky nature than Mexican street food purveyors La Choza. Founded in 2012, the hugely popular and always busy North Laine venue has now been added to with a second site on Western Road. This much larger restaurant, which has taken over the former Rootcandi site, continues in a similar technicolour vein. An expanded menu features the same slow cooked delights, utilising Mexican ingredients to create dishes that taste as good as the walls look. There will also be a strong focus on cocktails at the new venue with a dedicated cocktail bar to whet one’s whistle. 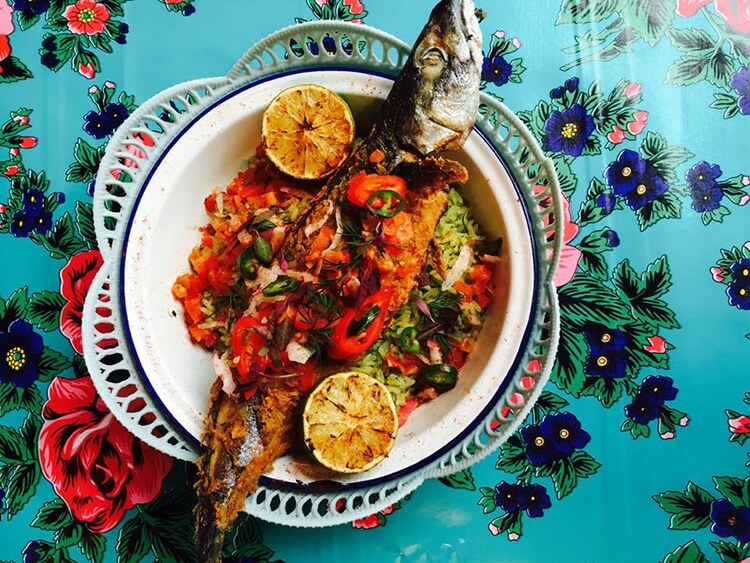 La Choza has been a firm favourite on the Brighton food scene, and now Hove residents can enjoy a slice of Mexico right on their doorstep. 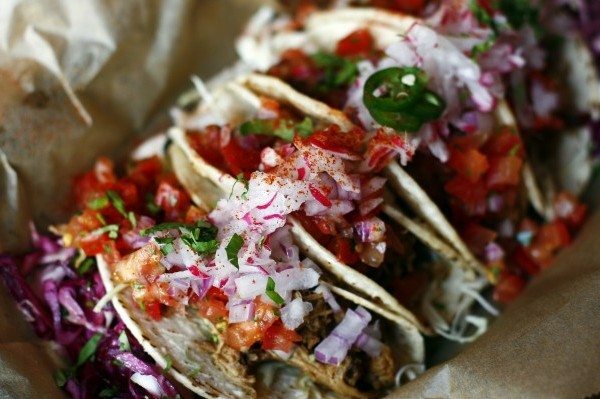 We may think of burritos and tacos being fast food, but there is a lot of slow cooking and effort that goes into creating those deeply intense and rich flavours. Their meat chilli is cooked for at least 12 hours after being marinated in spices and chilli. Fish is freshly supplied and then marinated for the incredible ceviche or fried for crispy tacos and burritos. As you can image the chillies are the centrepiece of the food, and La Choza source these from Mexico. This means that they have a wide variety of different styles and heats to put into their food. La Choza have become well known for their unusual and famous cocktails including a sublime selection of premium tequila based cocktails and margaritas through to Mexican twists on classic combos. Tequila and mezcal is obviously an important factor, and they have a range that will keep even the most enlightened drinker interested or flights for those looking for an education. Mexican beers and wines also feature alongside other choices that all compliment that food fantastically. If you don’t believe us you can believe the many awards picked up by La Choza. In the recent Bravo awards they topped the “Just as Good at Home” category and placed in the top 10 in three other categories. 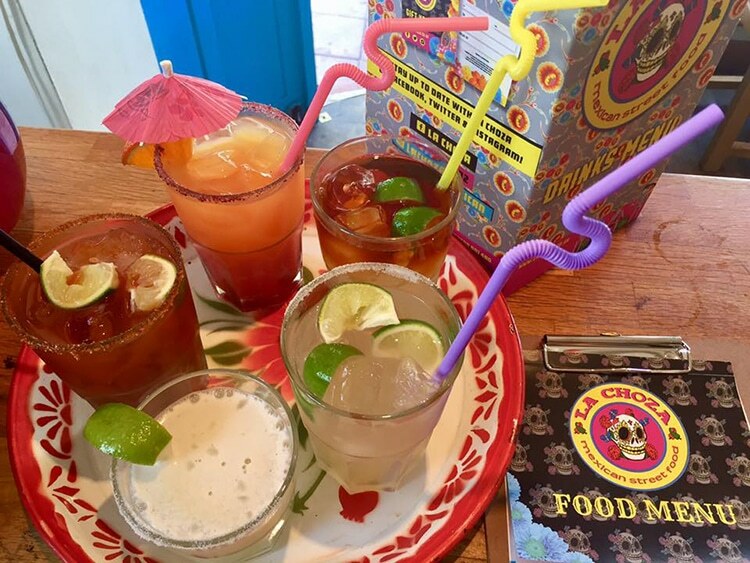 Gold award winners for best newcomer in the Brighton food awards and two runner up awards at the Guardian Food Monthly awards tell you that La Choza Mexican restaurant is a seriously great place to eat. Viva La Choza!